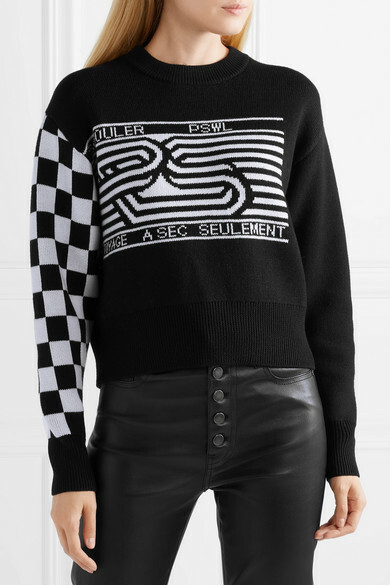 Proenza Schouler's sweater is part of the label's PSWL diffusion line - a collection of pieces that are equally cool as the brand's main line, just a bit more laid-back. 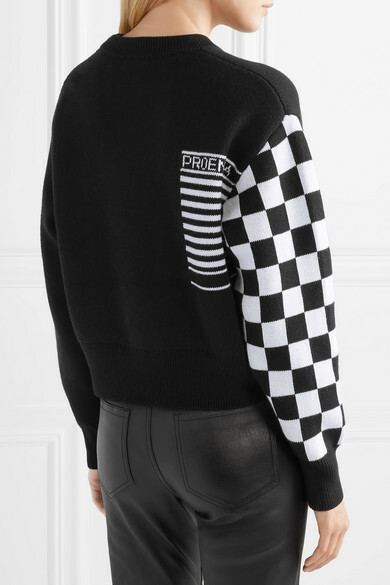 Spun from mid-weight wool-blend jacquard, it's knitted with an abstract logo and cool checkered sleeve. 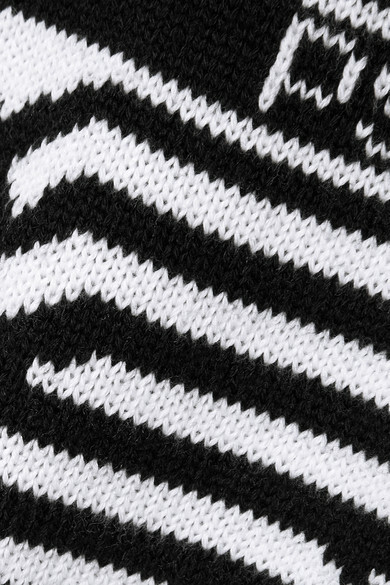 Balance the slightly loose, cropped fit with high-rise skinny jeans. 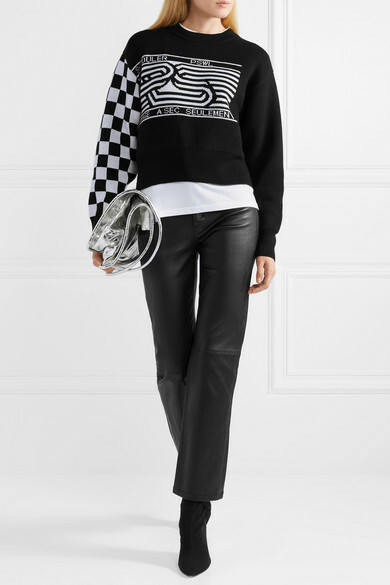 Shown here with: The Row T-shirt, Joseph Pants, Proenza Schouler Tote, Monse Ankle boots, Leigh Miller Earrings.